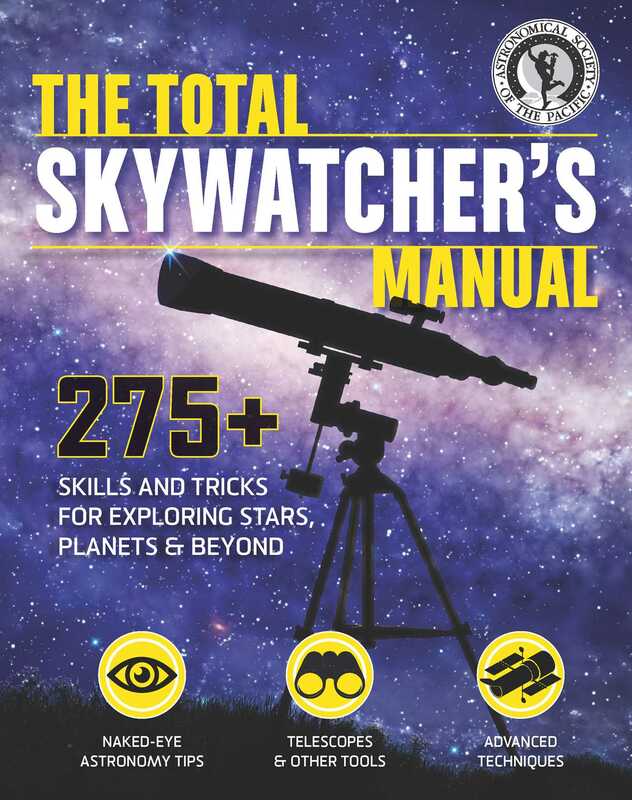 With fully illustrated star charts, gorgeous astrophotography and step-by-step project instruction, this family friendly book is the only guide you’ll ever need to navigate the nightsky. Learn about the phases of the moon, how to conduct your own deep-sky observations, how the universe is expanding, our search for life on other planets, meteors vs. meteorites, sunspots and solar flares, best eclipse-viewing techniques—everything you need to know to appreciate the wonder of our universe. Based in San Francisco, the Astronomical Society of the Pacific has a 125-year history of providing resources, tools, and information to astronomy enthusiasts, including amateur astronomers, families, and science educators (K-16). Join the ASP on this journey through the nightsky and beyond. If you’ve never tracked the Sun during the course of a day, it can be, well, illuminating! The next time it’s sunny out, use this method to find north (or south in the southern hemisphere). STEP ONE Start early and place a vertical stick on a large flat spot that will stay in sunlight all day. This is called a gnomon. A yardstick in a can of dirt, or a (clean!) plunger, will work. Mark its spot in case it moves. STEP TWO Mark the line of the plunger’s shadow in chalk or place a stone at the tip of the shadow. You can also write the time. STEP THREE Make this same observation as often as possible, especially in the middle of the day. Every 30 minutes is ideal. STEP FOUR Find the shortest shadow marking or the stone closest to the gnomon. That line represents when the Sun was highest in the sky—midday (it can be as late as 1:30 PM during daylight saving time). It is also the point when the Sun was southernmost in the northern sky, or northernmost in the southern sky. STEP FIVE Draw a line between the plunger and the tip of the shortest shadow. This line points directly north in the northern hemisphere or south in the southern hemisphere. With a compass (or compass app), see for yourself the difference between true north, which you just found, and magnetic north.